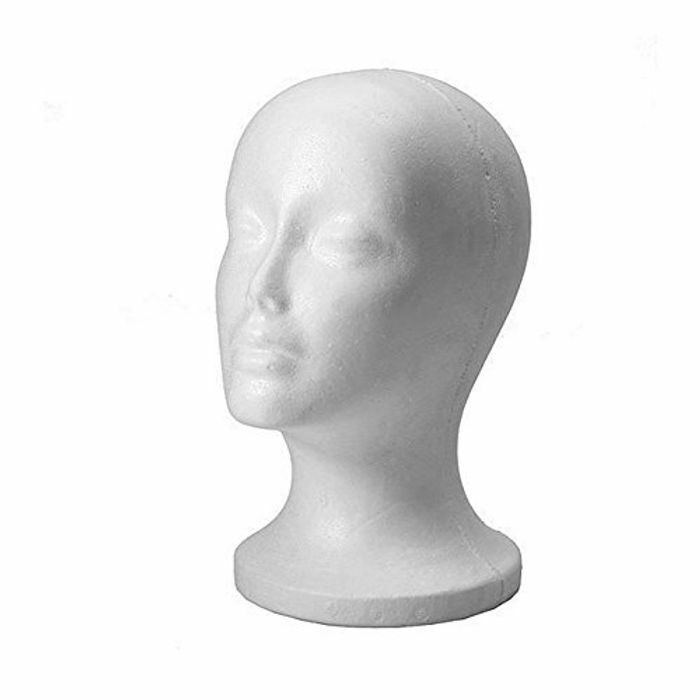 POLYSTYRENE WHITE FEMALE DISPLAY HEAD MANNEQUIN FOR WIG. Ideal To Display Wigs, Hats, Jewellery Items, Other Accessories, etc. Head Height 12" Approx. And Head Circumference 21" Approx.